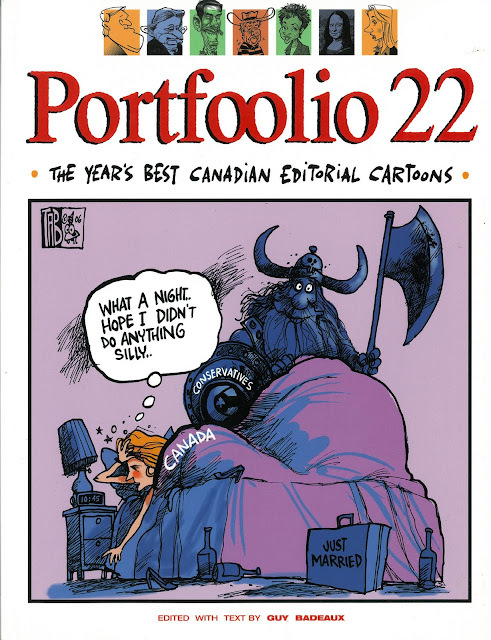 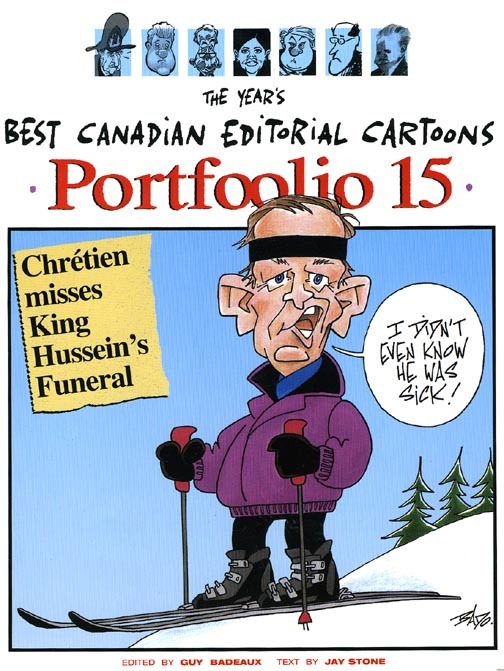 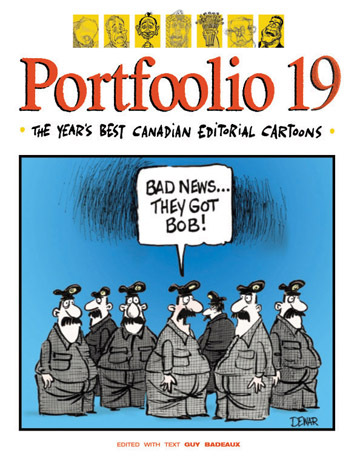 Bado's blog: A brief history of "Portfoolio"
Each year, the 40 or so major editorial cartoonists in Canada were asked to submit a selection of their favourite work. 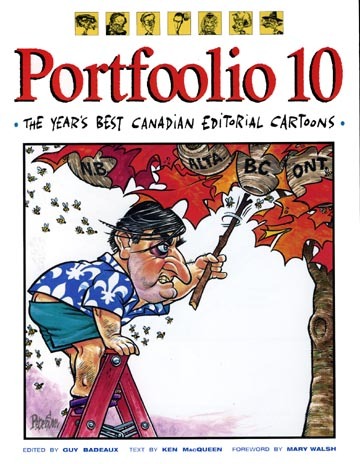 The editor then chose about 500 from the more than 2000 drawings received and divided them by subject. 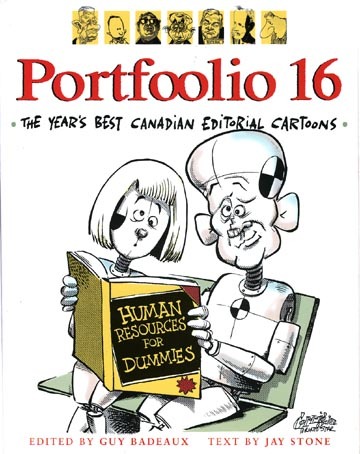 It was then up to the editor to make sense of all this and shape it in coherent chapters. 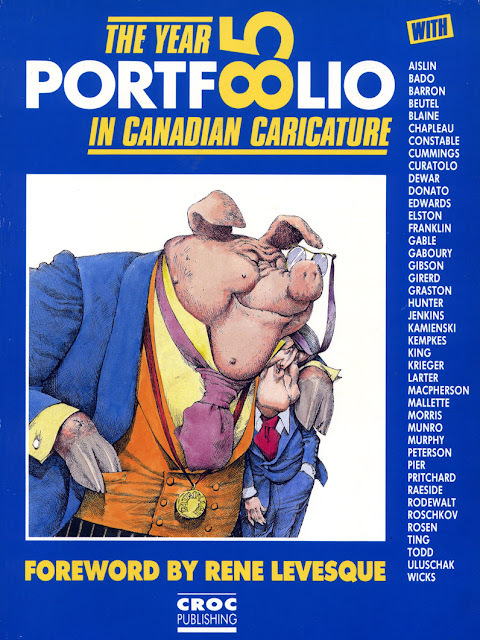 A further selection was made to fit the drawings in the 160 available pages while maintaining visual quality and decent reproduction sizes. A biographical section provided information on all the cartoonists involved as well as their photo and an sample of their work. 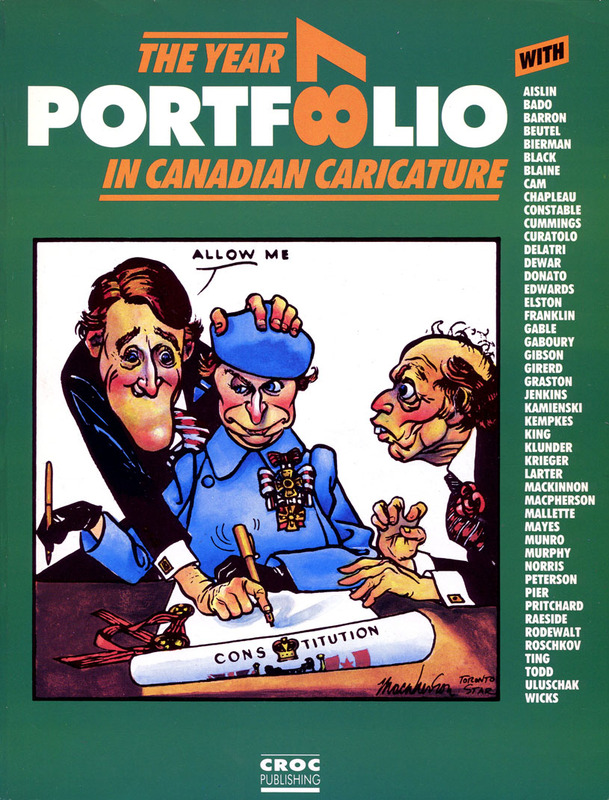 This section also allowed the publication of local cartoons that, because of the book's national scope, would have been otherwise absent. 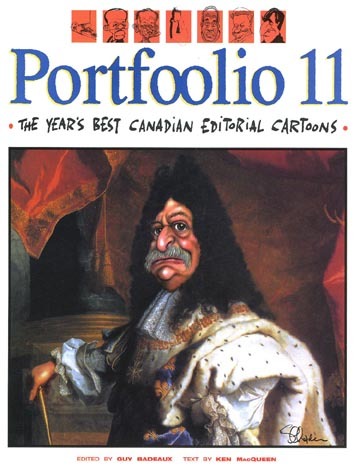 Croc also published the next 2 volumes of Portfoolio, but, due to the difficulty of breaking into the Canadian market, the duties were taken over by its distributor. 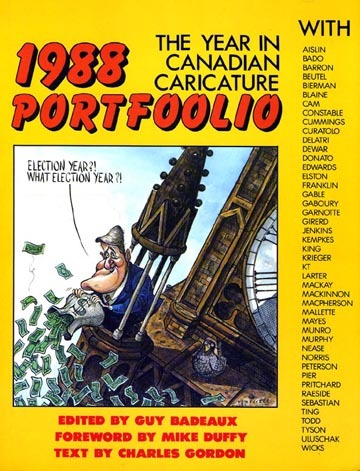 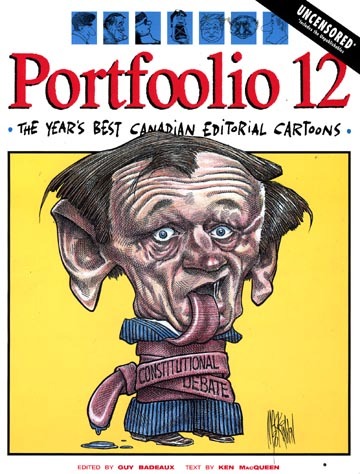 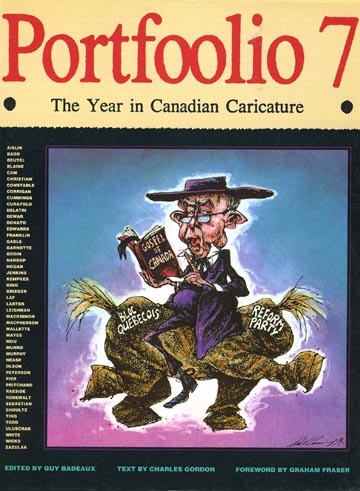 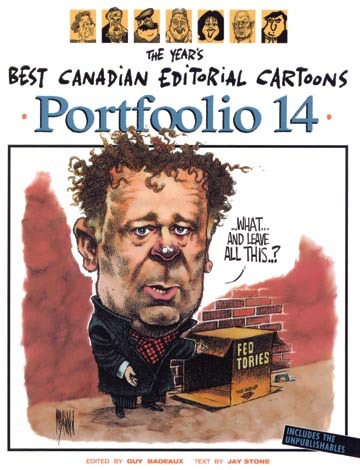 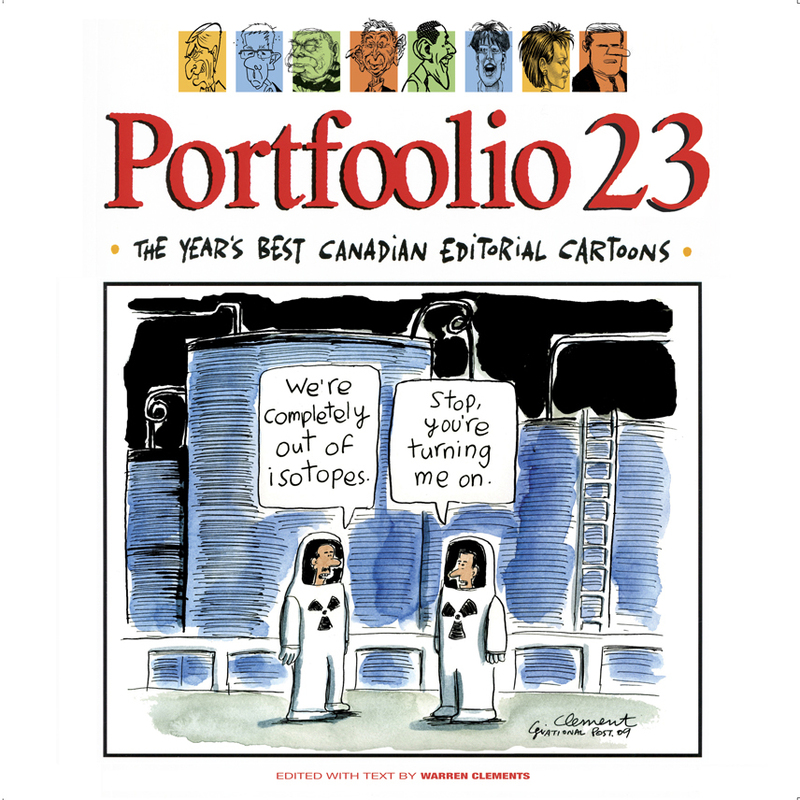 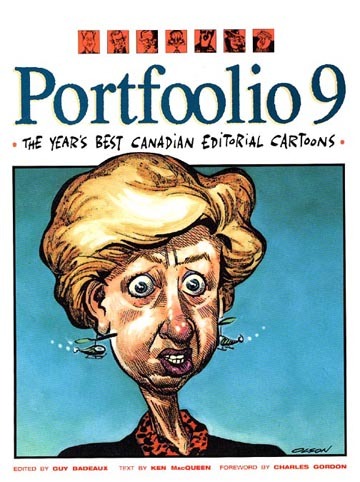 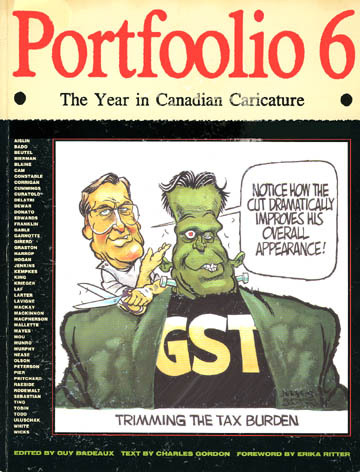 Eden Press thus published Portfoolio 1988: The Year in Canadian Caricature, an unmitigated disaster that, due to a last minute decision to cut 24 pages from the book, destroyed the continuity and left the biographical section without samples of the cartoonists' work. 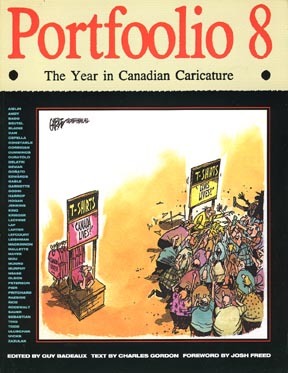 After this unfortunate episode, Portfoolio was published for the next eleven years by Macmillan of Canada. 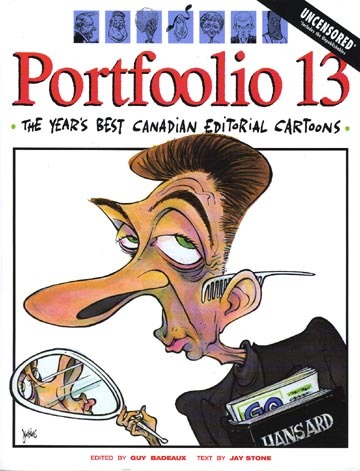 ... who, after three years, started publishing all the cartoons inside the book in glorious colour! 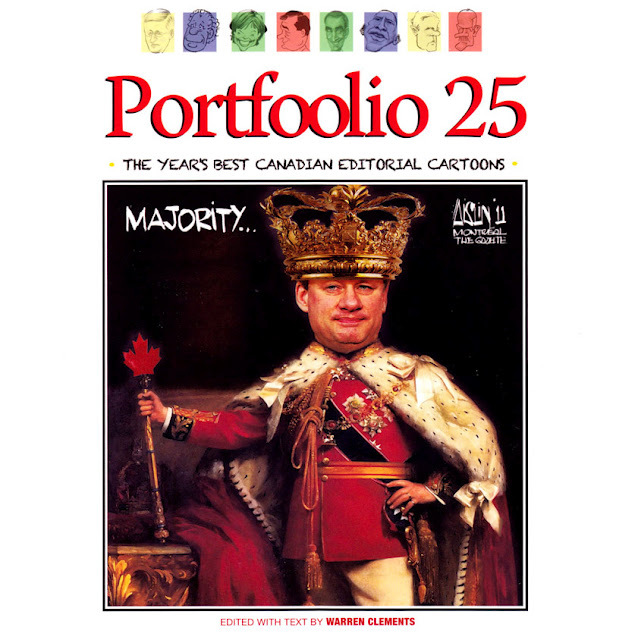 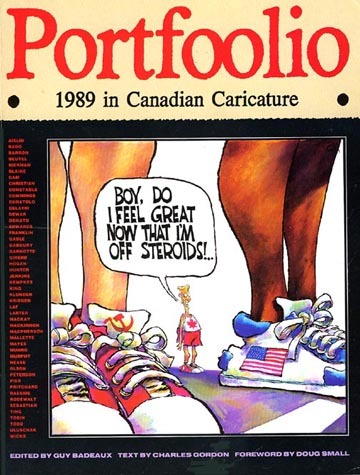 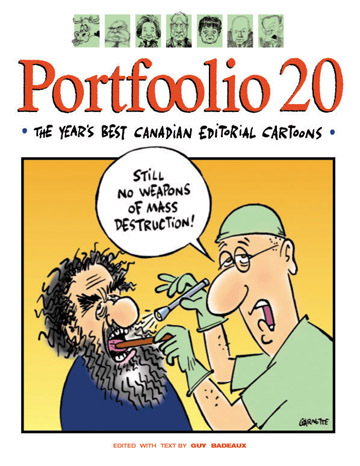 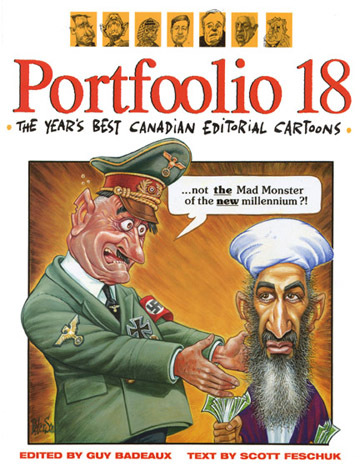 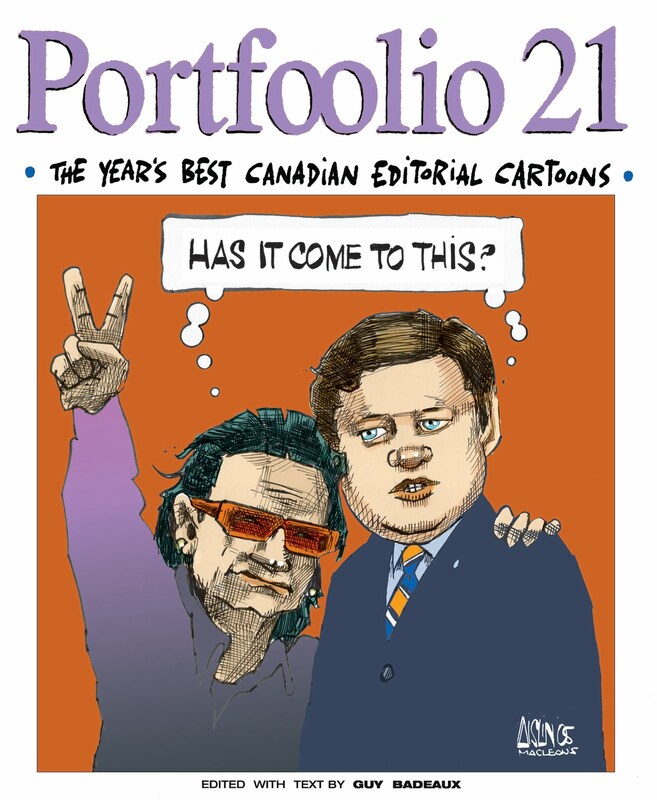 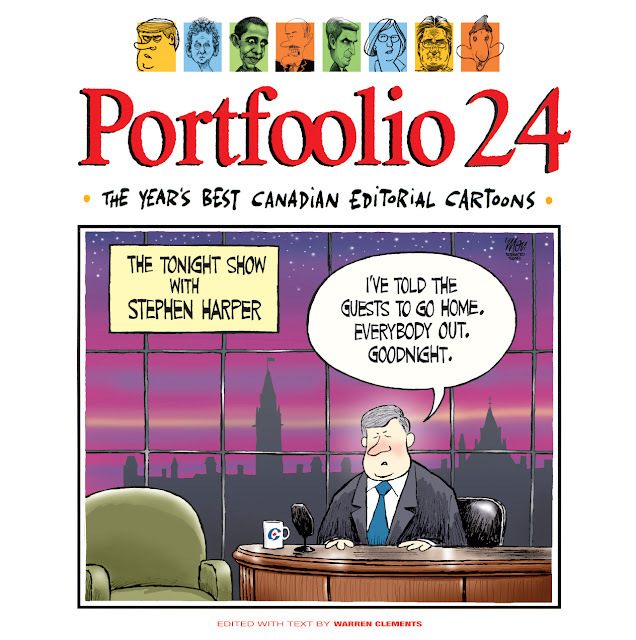 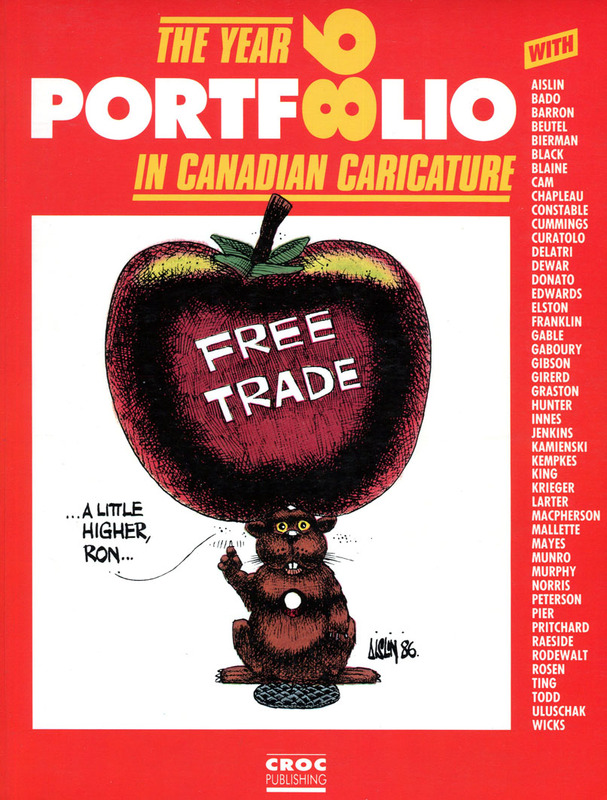 Portfoolio was edited for the first 22 issues by myself, Guy Badeaux, editorial cartoonist for Le Droit in Ottawa, and has, through the years, been graced by the texts of Charles Gordon, Ken Mac Queen, Jay Stone and Scott Feshchuk, most of whom journalists at The Ottawa Citizen. The book, after a two year hiatus, is now edited by Warren Clements of The Globe & Mail.